The Skywatcher 0,85x reducer/flattener for 100 ED reduces the focal length telescope from 900mm to 765mm (focal ratio changes from f/9 to f/7.65) and is used in astrophotography to reduce the focal length of instrument and flatten the field framed by the sensor. Reducing the focal length you increase the brightness of the telescope and you will greatly decrease the needed exposition time. It also reduces the field curvature and achieves a better stars image with sensors up to APS-C (about 24 x 16mm). And therefore is the perfect accessory for astrophotography for faint objects (galaxies, nebulae and clusters) that require very long exposition time. 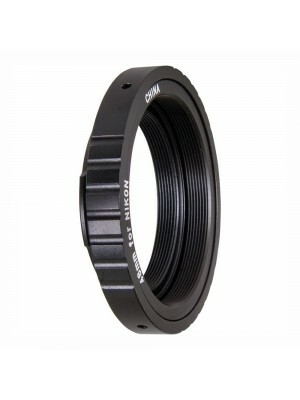 This reducer/flattener is compatible for all SkyWatcher 100 ED refractors (diameter 100mm and 900mm focal length), it has a female thread on the telescope side that allows the user to screw it directly on the focuser and ensuring a strong mounting and a correct optical alignment. On camera side it has a M48 thread that allows to install any accessory, DSLR or CCD camera with the appropriate adaptors or extensions tubes. 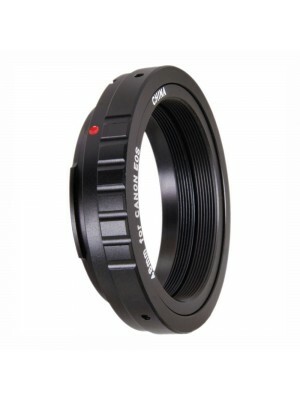 Ideal for sensors and CCD with a maximum size of 24mm x 16mm (APS-C), for its correct use the working distance between the reducer thread and camera sensor must be 55mm.